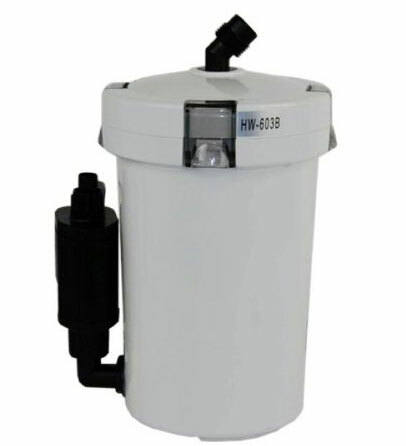 The SunSun HW-603B multi-stage canister filter is ideal for tanks up to 20 gallon. It handles up to 106 gallons per hour. 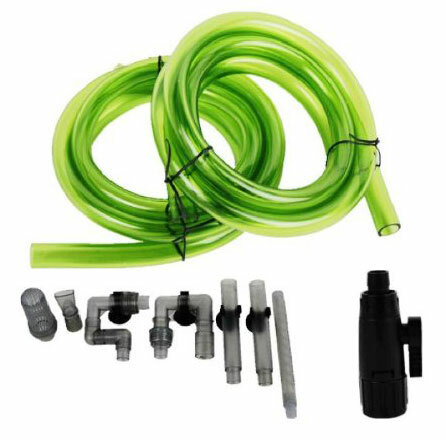 The SunSun HW-603B includes filter pads, hoses and all the parts you need to get started. 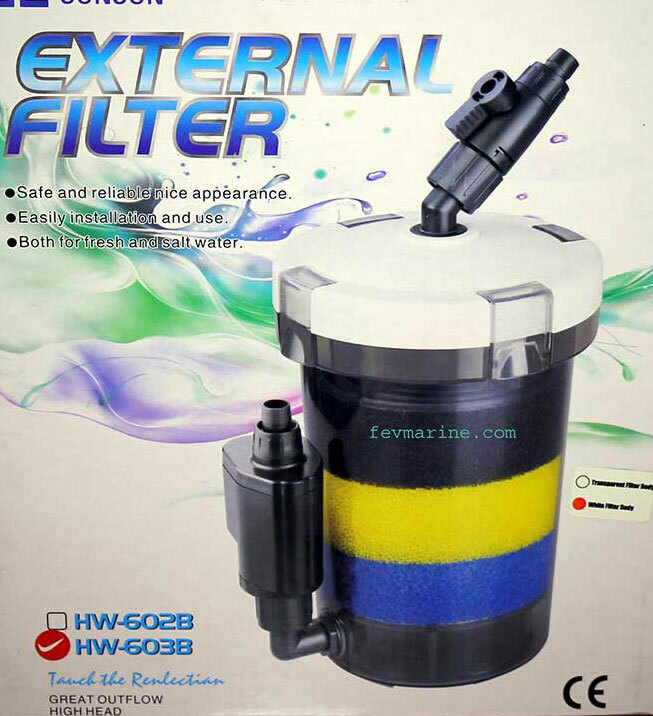 There are space above and below filter pads which you can add filtration media such as activated carbons, ceramic rings or bio-balls (sold separately) to achieve excellent mechanical, chemical, and biological filtration. To siphon water into the filter, simply fill the filter with water and turn the power on. 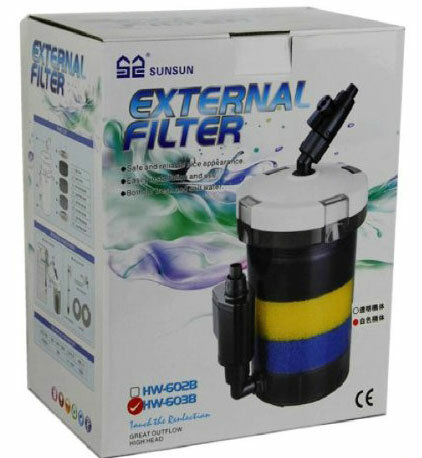 The SunSun HW-603B can also be use as pre-filter for other SunSun canister filters.